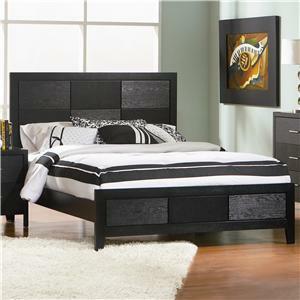 A fierce black finish engulfs the cut-out designs of the Queen/Full Headboard from the Grove Collection. 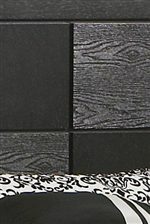 Diagonal strips are cut from this headboard to create a zebra imitation design for a bed with depth and artistic design. 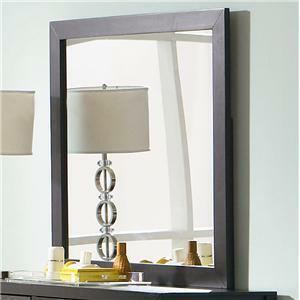 Light brightens the black frame of the headboard through each cut-out strip, adding a new dimension to this headboard. For a uniquely timeless design, dress your bed with the Grove Queen/Full Headboard. This piece requires a bed frame. Bed frame sold separately. 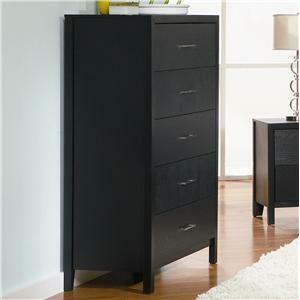 The Grove Queen/Full Headboard by Coaster at Value City Furniture in the New Jersey, NJ, Staten Island, Hoboken area. Product availability may vary. Contact us for the most current availability on this product. Case Construction Constructed from Asian hardwoods and Okume veneers. 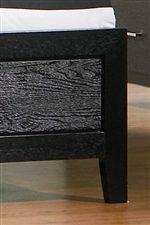 The Grove collection is a great option if you are looking for Contemporary furniture in the New Jersey, NJ, Staten Island, Hoboken area. 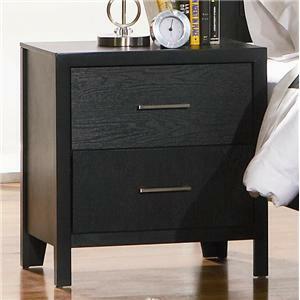 Browse other items in the Grove collection from Value City Furniture in the New Jersey, NJ, Staten Island, Hoboken area.